Cardinal Edward Egan died of cardiac arrest at a New York hospital Thursday afternoon, according to the Archdiocese of New York. He was 82. He was born in west suburban Oak Park on April 2, 1932. Egan was ordained a priest in the Archdiocese of Chicago in 1957 and consecrated a bishop in 1985. He served as Archbishop of New York from 2000-2009. He was appointed by Pope John Paul II to succeed the late Cardinal John O'Connor. 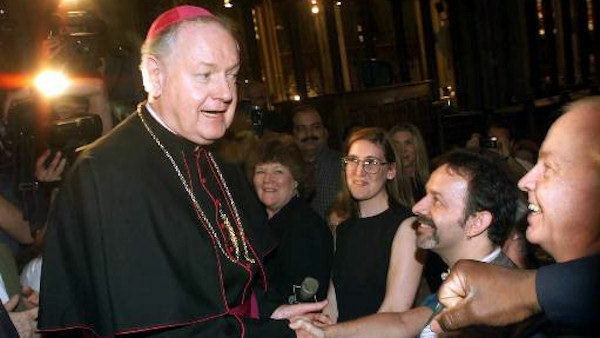 Egan led the Roman Catholic community in New York during the Sept. 11 attacks, when he anointed the dead at a lower Manhattan hospital and presided over many funerals for victims. He retired as archbishop at age 77. Egan was a scholar of church law and spoke Latin fluently. John Paul chose him to help with the massive job of reviewing a revised canon law code for the global church.